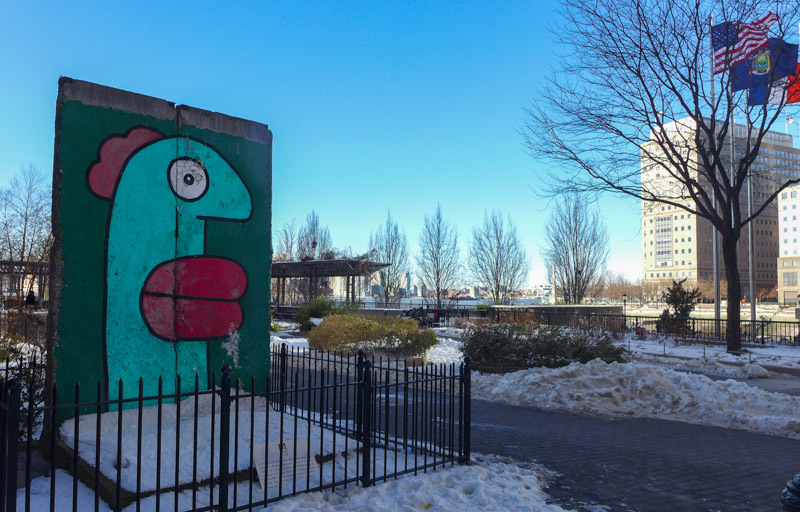 There are four sections of the Berlin Wall in New York City. 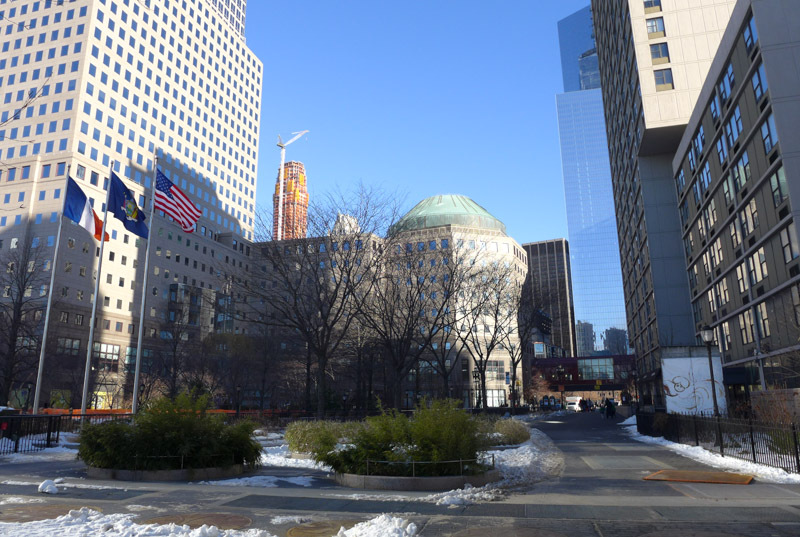 The only section I’ve visited before is on 53rd Street, but it was removed at the end of last year for renovation work – so now I’m on a mission to track down the remaining pieces (before I’m 30!). The German Consulate gifted this section to the city on the 15th anniversary of the fall of the wall in 2004. 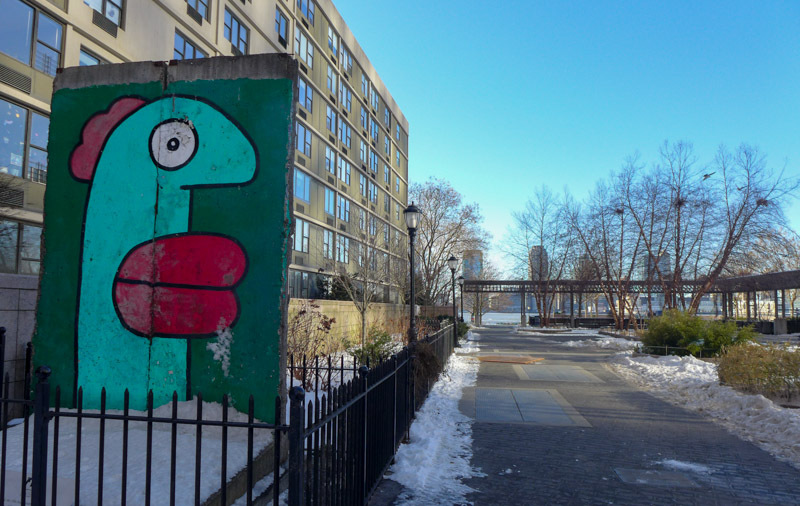 According to the Battery Park City Authority, the 12-foot high slab once stood in downtown Berlin between Potsdamer Platz and Leipziger Platz, and was part of the inner wall designed to prevent East Germans from escaping. ‘Today, it stands as a powerful symbol of the strength of democracy – teaching and inspiring all who visit of the importance of freedom,’ the authority explains. 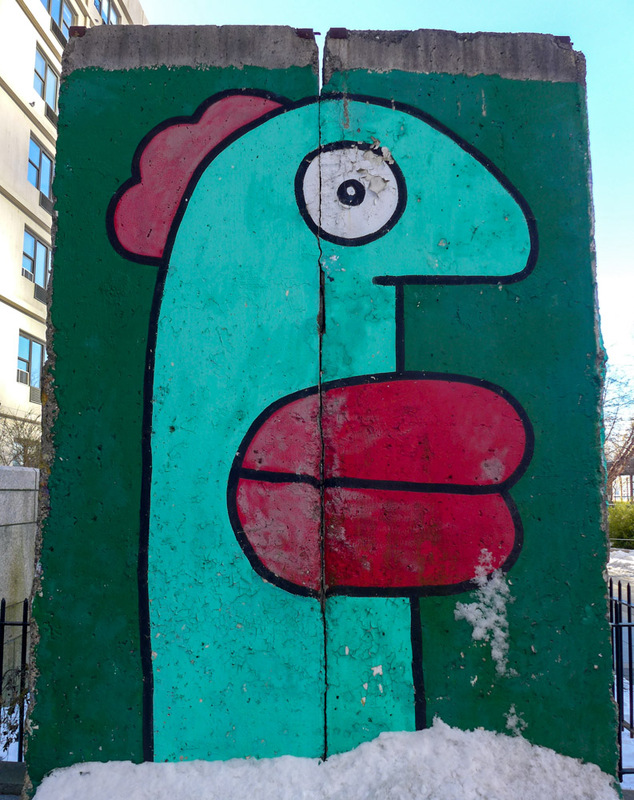 Like the piece up on 53rd Street, it’s the work of Thierry Noir. He started painting the concrete in April 1984 – when no other artists had yet touched it – and ultimately painted about one kilometer’s worth. After the wall was pulled down, he restored some of his previous work that is now on show around the world. I love that some pieces have made their way to New York. I think you can appreciate them as art even without knowing their important history. Especially at this spot – where I love the juxtaposition of the garish, pop-like design and the stiff collars and sleek lines of the Financial District. 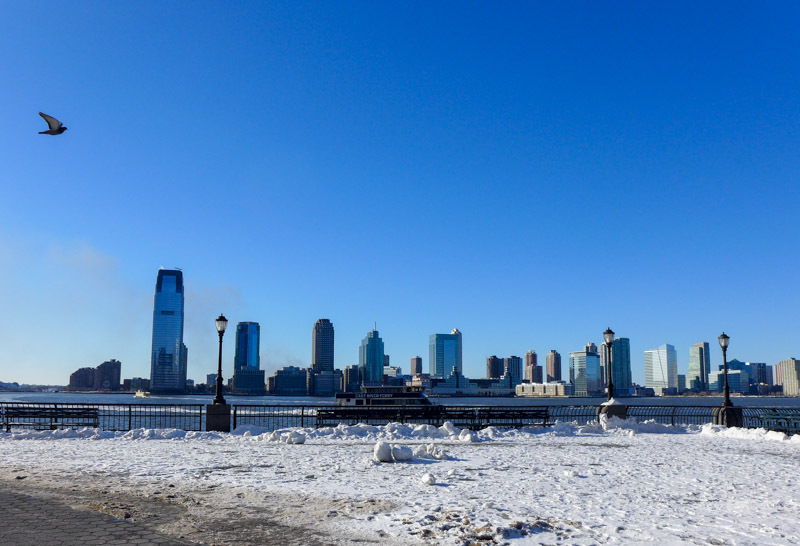 The added history makes them even more significant, of course – and as with all of New York’s secrets, I love how you and I know it’s there, even if millions of people in the city don’t. 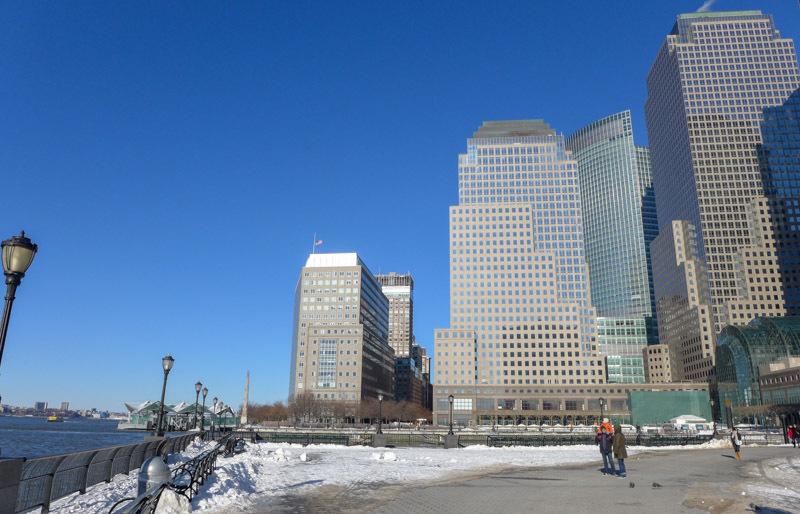 Plus, this particular venture took me to the Esplanade (that long walkway on the west of Lower Manhattan) that overlooks New Jersey and is bizarrely peaceful, even though it’s just blocks from the Financial District. It’s one of my favorite spots in the entire city. Now I’m on a mission to find the other sections in NYC! Very cool! 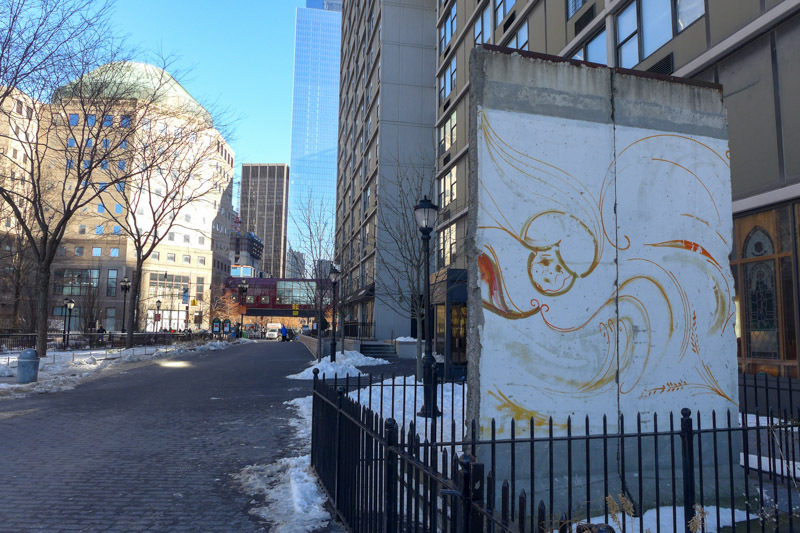 I didn’t even know that there were parts of the Berlin Wall in NY. You learn something new everyday. Yeah, they’re great, aren’t they? There are a few more pieces upstate too. Cool! I love the mural on it! Me too, it’s so bold — and yet bizarrely easy to miss if you’re walking in the area! Oh, wow! That’s awesome. 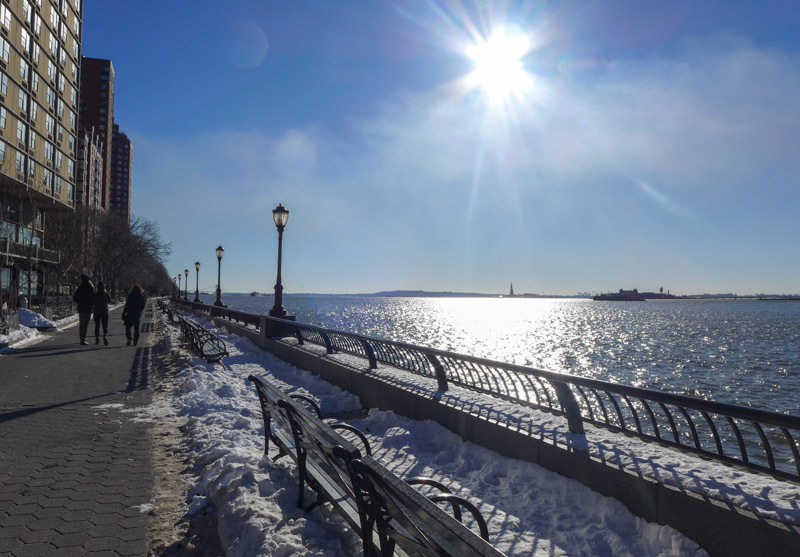 One more reason to check out NYC. I commend you for going inside a Ripley’s museum, though. Those places have always weirded me out. 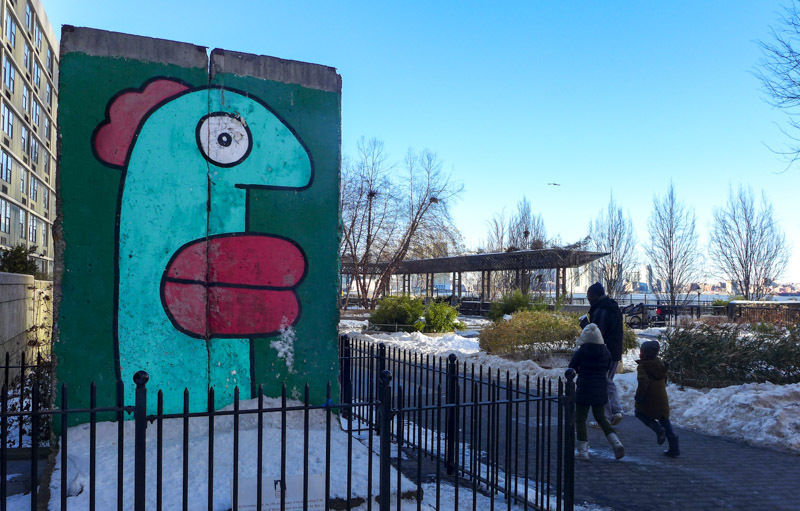 Thierry just did murals similar to this in the former East German embassy in London … such amazing stuff! Oh wow, I didn’t know that – amazing. That’s amazing! I had no idea we had pieces of the city here 😀 Great photos btw and I will have to check these out before heading to Berlin! Yes, they’re great I think — and I like the treasure hunt of trying to find all the pieces! Great pictures as always, I’m going to have to check this out for myself! I don’t know how I feel about one piece being in front of Ripley’s…what a weird choice.